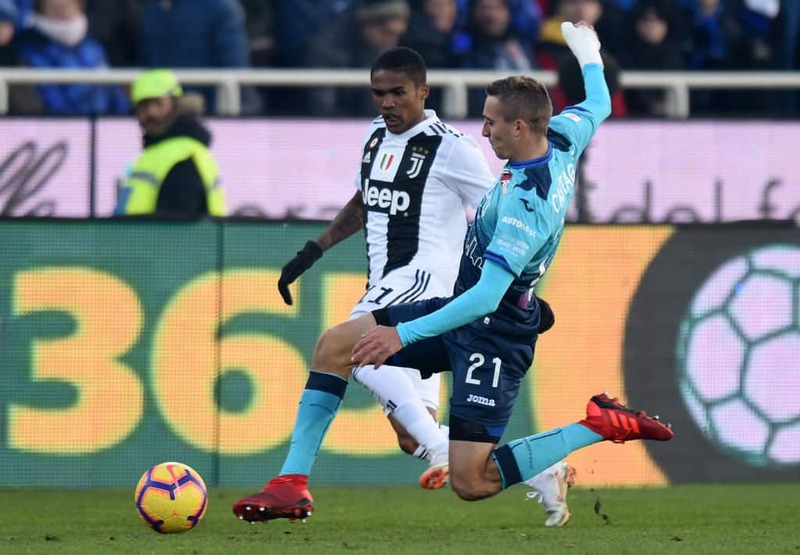 Juventus star Douglas Costa might have hinted at his exit from Alliaz Stadium after liking a Twitter post linking him with a move to join Manchester United. The 28-year-old has been a long term target for the Red Devils who appeared to have made a whooping £54 million bid for the winger in December. Costa sealed a permanent deal with the Old Lady in 2018 having spent the previous on loan at the same club. However, he has only scored once in 17 Italian League appearances this campaign as his struggles continues at the club. The Brazilian escaped terrible accident earlier this month and is currently recovering from the horror car crash he suffered. His unusual activities on social media according to SunSport put his 400,000 Twitter followers on alert - as it always does in the digital age. Eye-hawked fans noticed Costa 'liked' a post from Sport Musing news site, quoting Italian outlet Calciomercato, linking him to Old Trafford. The former Bayern Munich star however quickly 'unliked' the post after it stirred up a discussion among Twitter users. United reportedly targeted Costa as an Alexis Sanchez's replacement, as the Chilean has failed to live up to the hype following his blockbuster Arsenal swap last year. But the Red Devils failed to make any first-team signings in January, and continue to thrive under Ole Gunnar Solskjaer having won nine out of 10 games since the Norwegian took over. Legit.ng recalls that Juventus winger Douglas Costa is a lucky man after coming out of a terrible motor accident untouched. The Brazilian star who has been heavily linked with a move to join Manchester United in a £54 million was not injured in an incident that left his car totally wrecked. SunSport quoting Corriere Torino reports that the accident happened between Livorno Ferraris and Santhia in the province of Vercelli, on the Turin-Milan motorway.